This pair of candelabra will look exquisite once lit, since their ormolu bodies and glass pendants will catch and reflect the candlelight in beautiful ways. 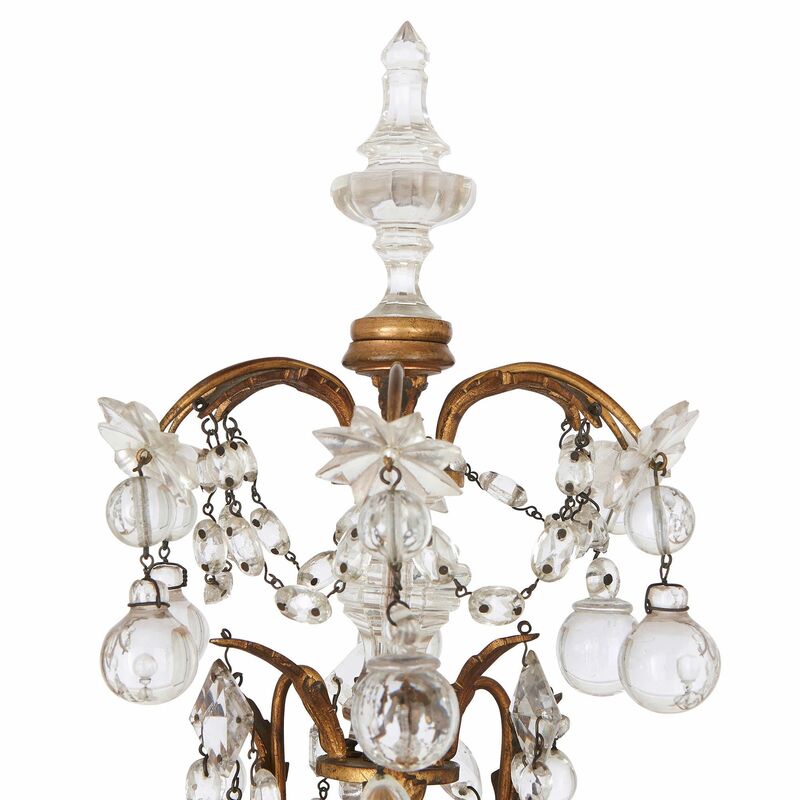 Each candelabrum stands on a wide, circular foot, which extends upwards to form a fluted stem. 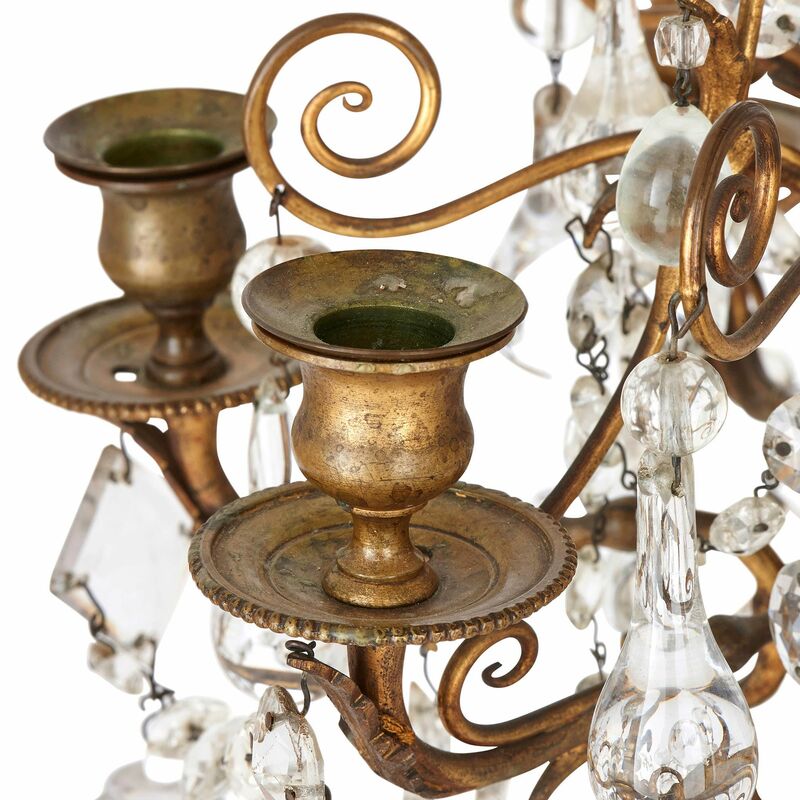 From the top of each stem springs six branches, which curl upwards in vine-like forms to carry wide drip-pans, with beaded edges, topped by smooth, simple capitals and sconces. Glass droplets and prisms are suspended from chains which hang between the arms. 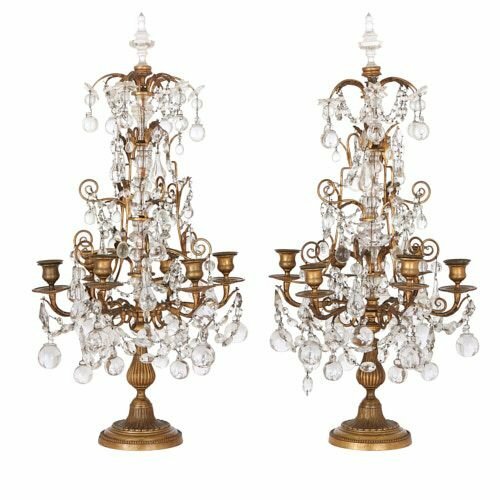 The central stem continues upwards, above the height of the six candle-holders, transforming from ormolu into shaped cut glass. 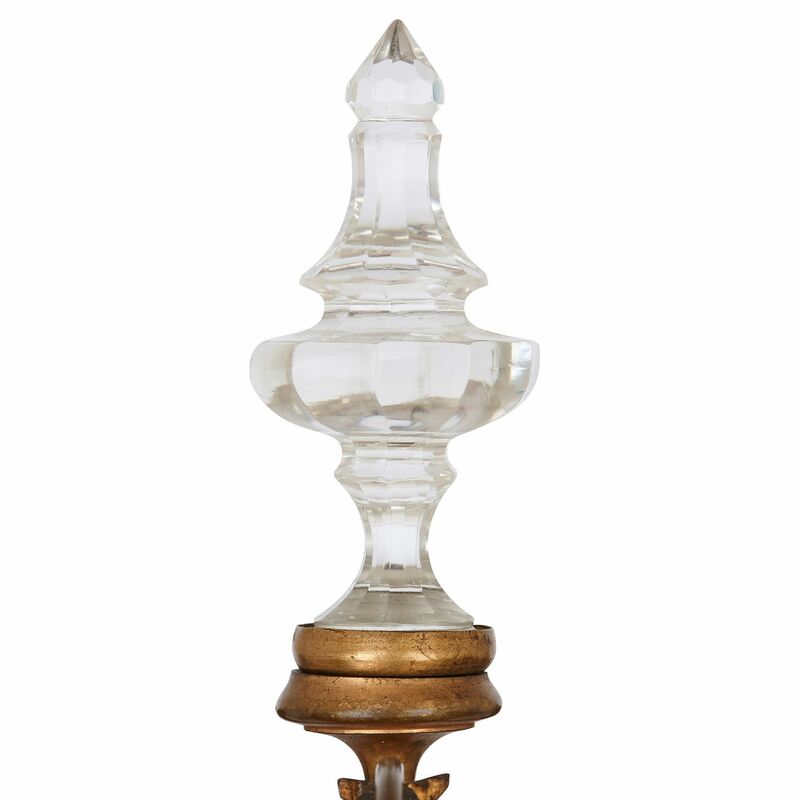 This glass stem is mounted at three points with curling ormolu arms, which carry the chains of cut glass prisms, pendalogues and droplets. 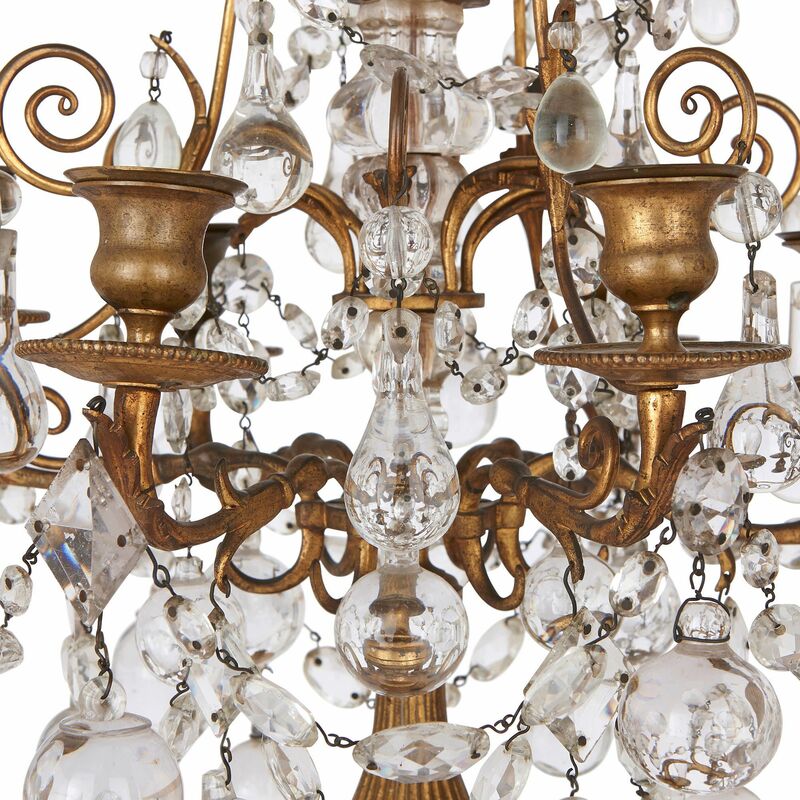 At the top of each work, a number of ormolu arms extend upwards, before arching down to end in cut glass flower heads, from which hang large glass droplets. These downward-curving forms beautifully complement the upward scroll of the six branches below. 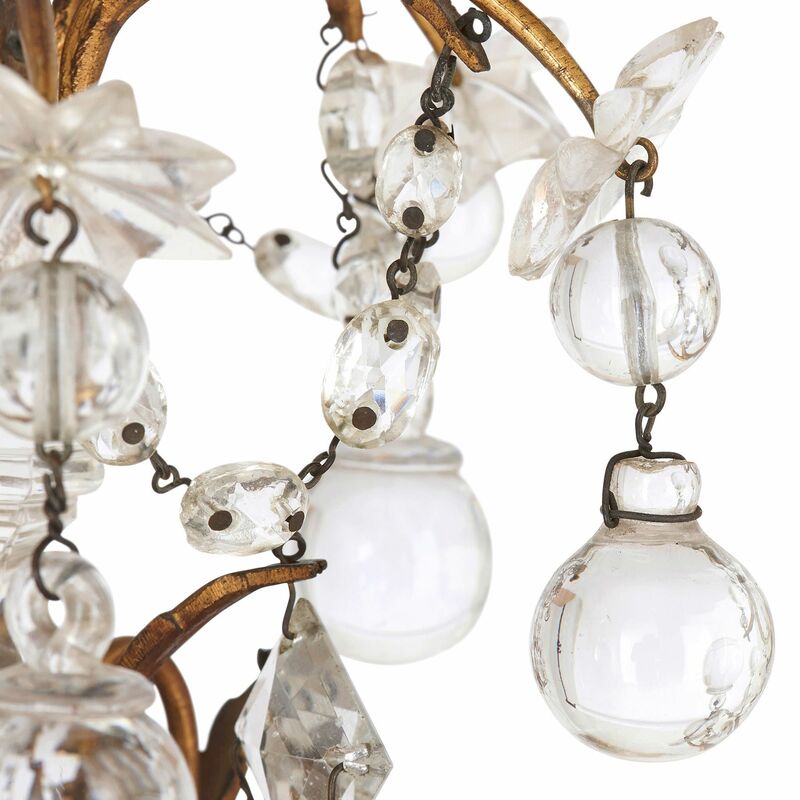 Each candelabrum is topped by a large, pointed cut glass finial.